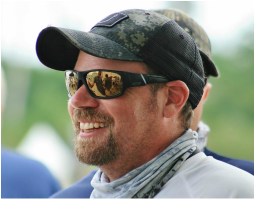 Captain Patrick Rood is a native Floridian that has grown up on the local waters of Mosquito Lagoon, Daytona Beach and New Smyrna Beach with the passion for inshore fishing. He is sponsored by Power Pole, Maverick Boat Company, Smith Sunglasses, Seeker Rods, Motorguide Trolling Motors and Aqua Dream Lures. With the help of these great sponsors he has traveled the Southeast of the United States fishing many pro tournaments. 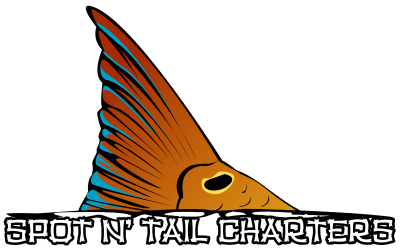 He has taken the experiences learned while fishing these tournaments in locations such as Boca Grande, Englewood, Jacksonville, St. Augustine, FL and all the way to Louisiana and uses them everyday while guiding on the waters of Mosquito Lagoon, New Smyrna Beach and surrounding waters with his clients. He takes pride in teaching and showing you an experience on the water that you will never forget. Whether you are fishing the structure at night for snook in New Smyrna or sight fishing tailing redfish in Mosquito Lagoon he will make it a trip of a lifetime. Captain Patrick Rood only uses the best gear on the market like Shimano Stradic Reels and Seeker Rods. When fishing Mosquito Lagoon you need to be able to get to where the fish are and the Maverick 17 HPX is the skiff to do it. The HPX 17 is the best technical poling skiff on the market and powered by a Yamaha Outboard and equipped with a 6′ Power Pole it possesses everything you need to stalk the shallow water species of Mosquito Lagoon. It also has the stability and mover ability to handle the open bays and ICW surrounding the Daytona and New Smyrna Beach area, along with the room to handle three anglers and gear for a day or night on the water. Capt Patrick not only enjoys guiding on the waters of Mosquito Lagoon and New Smyrna but also loves sharing the unique wildlife they have to offer. So whether you want to go see the dolphins and manatees at play in the backwaters of New Smyrna or view the many species of birds that call Mosquito Lagoon home Captain Patrick will be glad to guide you to your next adventure.